Backbeat Books | 2007 | 220 pp. I always liked Richard Barone. I remember seeing a bit of the primeval video clip for his band The Bongos’ early single of T-Rex’s “Mambo Sun” and noting the band’s coolness. Around the same time [late ’81] I also started seeing the seminal music mag Trouser Press in my local convenient stores, so I was quick to pick up such a forward looking publication in the world of Creem and Rolling Stone that occupied the racks of my local Shop + Go. I then read highly laudatory reviews of the early Bongos releases, so when I saw them in the bins, I knew to act. The Bongos were left field pop genii of an immensely likable stripe. They out forth an appealing blend of pop craftsmanship with a side order of art that got on like a house on fire. When I found out that vocalist Barone had escaped from Tampa, Florida and into the New Wave stratosphere, it was all I could do not to gape in wonder at one who had achieved escape velocity, as it were. I also loved the “Nuts + Bolts” split solo album that Barone and James Mastro of the band recorded for Passport Records in ’83 under the guiding hand of producer Mitch Easter. Talk about perfection! I was recently looking some musical factoid up on the web and I stumbled across his book again. Though I am hip deep in a Leonard Cohen bio right now, I asked for a library loan on the title and was surprised when less than a week later, it was in my hands. I only had a three week loan period on the book so I made the effort to finish it up quickly. I need not have tried as I quickly found the the book as infectiously affable as Barone’s music always had been. It took a weekend to read it in huge chunks. 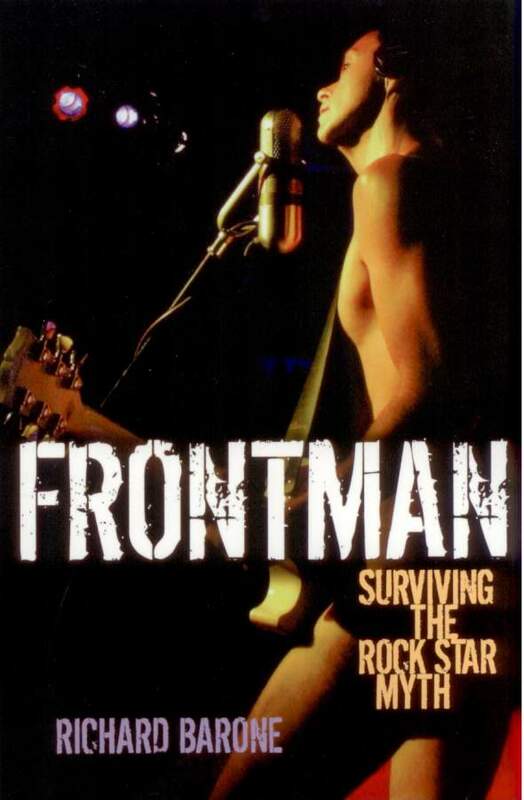 The book is formatted to tell his story from childhood to the now [or at least the book’s 2007 publication date] while also functioning as a primer for anyone looking to actually enter the bizarre world inhabited by these… frontmen. We learn how pop music bit the young lad but hard by the time that he was starting school. “Sounds familiar,” thinks The Monk. By the time he was in middle school, he was toting a guitar, which he eventually learned how to play and after high school, he and his friends had formed the legendary Snails, one of Florida’s first New Wave bands. I have a cover version of their song “Shopping Mall Queen” by Snails tribute group Escargot! The book recounts a galvanizing experience he had as a teenager when seemingly cast adrift in the mid-70s, Tiny Tim was playing a show at Barone’s local Travelodge. Barone and his friends try to get into the show, but are underage, so when Tiny Tim hears about this, he finds the kids and performs a show just for them. Barone realizes that this is not just a bizarre novelty act from Laugh-In, and asks to make some recordings, which later transpire in Tim’s hotel room before ultimately taking place in a ramshackle little studio that Barone recorded at with his friends. He cites Tim’s inspiration as the reason he finally shucked Tampa and took the plunge into the Big Apple. It didn’t hurt that he knew a band from NYC who had just gotten signed so their loft was not being used while they were on the road. When the band returned, Barone made the move across the Hudson River and helped to trigger the “Hoboken Sound” renaissance of the early 80s almost by accident. Once he met the rest of The Bongos, the group fell together quickly. They were signed to Fetish Records in the UK and later picked up a domestic deal with the PVC/Passport/Visa group that Jem Records ran back in the day. The band was courted by the majors and went with RCA; home of Elvis and Bowie! They managed to get an EP and album out before crashing and burning amid the excesses of the mid-80s like so many others. As Barone went solo and seemingly disappeared from the marketplace for over a decade after his initial trilogy of solo albums, the reader learns of his many deep projects that kept him very active throughout the 90s. He had done everything from produce tributes to jazz thrush Peggy Lee to staging a rock version of Handel’s Messiah [“Downtown Messiah”] at the famous Bottom Line club. One point to make here is that Barone doesn’t shy away from his sexual orientation or use of drugs and alcohol, but these are but footnotes in the overall structure of the book. What this book is ultimately about, is conveying the joy he derives from music and how he incorporates this joy into his life. And that joy makes this book an infectious read! This entry was posted in Blast From The Past, Book Review and tagged autobiography, Richard Barone, The Bongos. Bookmark the permalink.